It looks like the delays that have plagued Mighty No. 9 may finally be behind it. 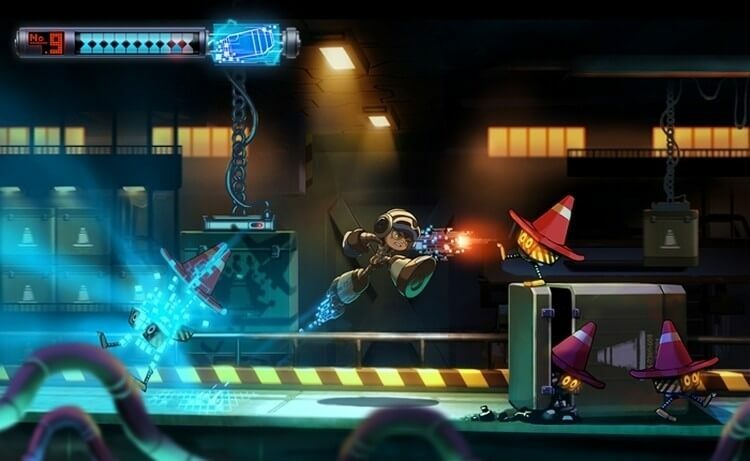 In an update on its Kickstarter, creator Keiji Inafune said the game will be available across multiple platforms on June 21 in North America and Asia and June 24 everywhere else. Inafune, the Mega Man co-designer who left Capcom in 2010 after more than 20 years with the company, took the opportunity to once again apologize to fans for keeping them waiting so long. The campaign for Mighty No. 9 launched in September 2013 and raised more than $3.8 million from close to 70,000 backers. This past January, however, the game was met with its third delay, leading some to wonder if the side-scrolling title would ever see the light of day. Inafune said the release has “gone gold” and that the current launch date was essentially set in stone. Look for Mighty No. 9 to land on PlayStation 3, PlayStation 4, Wii U, Xbox 360, Xbox One, PC, Mac and Linux next month with versions for Nintendo’s 3DS and the PlayStation Vita to arrive at a later date, Inafune promised. Adding support for so many platforms was partially to blame for the multiple delays. What’s next for Inafune? Last summer, it was revealed that he was teaming up with Metroid Prime developers to create a new game called ReCore, the trailer of which is embedded above.